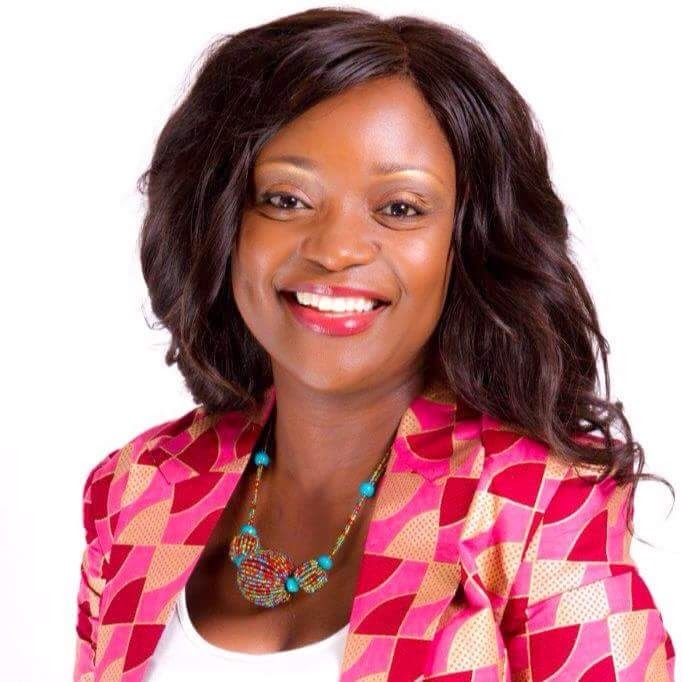 African Super Woman: A Chat With Zambia's Most Profound Woman; Norena Mutoya Chiteba, Founder of KUPES Young Womens Network. Zambia is in need of role models, women who will mentor our girls, women who will create an impact in behavioural change in our communities. Women who will make them realise how worthy they are. I feel, we have lost it a bit in the way our girls are being brought up. We see the chaos in the news, on the Internet everyday in the lives of our young women. We thank God that not all hope is lost. We have women like Norena Mutoya Chiteba, a Zambian woman, with a real heart for our young women, a woman who is so passionate about girls and the women. Norena is a rare gem. She decided to step up and make a difference in our society by founding a network called "KUPES YOUNG WOMENS NETWORK". African Super Woman met up with her for a chat about the Network. And I should say that, Norena is one of a kind. One of the women I admire in Africa. Lets meet her, know her and learn. about the Network. ASW: I am so honoured to seat here and talk to you. Thank you so much for creating time to meet me. So, Who is Norena Mutoya Chiteba? Norena: I am a wife and a mother of four, three biological kids and my nephew. A founder of KUPES Young Womens Network. I am the President of the Zambia's Squash Association, first female ever (with a smile on her face), I seat on a Council for Harvest Institute of Missionaries Bible Collage and I also seat on the gender committee of the Zambia National Sports Council Board. ASW: Wow! You are one of a kind, Norena. When did you start the KUPES Young Womens Network? Norena: I started the Network back in 2009, I was working for Finance Bank at a time as the assistant director for marketing and business development. I am so passionate about girls and women and I really wanted to do something for them. I started off with twenty women in Kabanana compound, doing some workshops with them. But being in the Corporate world at that time, I had loads of work on my hands and I decided to take a break from the Network. I stopped working for Finance bank and I joined Standard Chartered Bank as head of corporate affairs and that was my last assignment in the corporate world and that was in 2011. Early 2012, a friend of mine and I bought a franchise called Bella Dona Finishing classes were we taught women how to behave and our focus was in schools. It was going very well but I still had my network at the back of my head. Then in 2013-2014, I decided to formalise my Network. And that was the reborn of KUPES Young Womens Network. ASW: Tell me more about the network, what is it all about? Norena: KUPES Young Womens Network is a network that looks at empowering, motivating and inspiring young women from all walks of life. I say from all walks of life because at the beginning, my focus was on the under-privileged communities, but then I realised that even the privileged ones don't have people speaking for them. They would have everything but they have no mentorship, no guidance and no information. ASW: What is your vision for the young women? Norena: I envision a society where young women have a clear understanding of their self-worthy and capabilities, they have a clear understanding of their purpose, because if you understand who you are, nothing can touch you. If you understand who you are, frankly speaking, you wont be swerved left, right and centre. We need to get it right with our young women in our society. I believe if we can create an impact on you, you should be able to create an impact on your family and your community. ASW: I like that Norena, that's a very powerful vision and I believe we can make it and we will get there. Change starts from within and its one person at a time. What about the KUPES Chat, what is it about? Norena: The KUPES Chat is one of the activities we do at the Network. The idea of the KUPES Chat came about sometime in 2014 when I had attended the CNBC Africa event at the Southern Sun hotel here in Lusaka. At the event, they were interviewing Dr Kankasa, Brenda Muntemba, Monica Musonda to mention but a few. We were about a hundred women in attendance and I released that we were all above the age of 35 years. And I thought to myself that the people who should be listening to this are the young ones, because they are the ones who can make an impact in our society. And that's how I decided to start the KUPES Chat. The first KUPES Chat we featured Yuyo Nachali Kambikambi, she is the head of corporate communications and government affairs at Airtel Zambia. She came and spoke to the young women and it was lovely. And in March this year, we had another Chat were we were able to seat fifty young women at the Hotel Intercontinental and it was fully paid for by the Hotel. In April again, we were able to seat seventy young women at Intercontinental Hotel and we were privileged to have Miyanda Mayimbo, the founder of PROSOFT. She came and spoke to the girls and it was awesome. We are actually looking at a longer term partnership with Intercontinental Hotel. And the Vision for the KUPES Chat is to go nationwide. ASW: Apart from the KUPES Chat, what other activities do you do as a network? Norena: We have what I call the "Three Point Program", were we want to take you through entrepreneurship skills, we take you through financial literacy, which I call "The Entrepreneurship Science of the Three Point Program", we want to take you through presentation skills which is professional skills, we take you through interview skills and we take you through time management. And finally, we take you through personal branding which I am so passionate about. ASW: Personal branding is something that today's young women know so little about. I want to hear more about it. Norena: Personal branding has an element of etiquette and I call it "Value your body, you are a brand". For you to become a brand, you need to know and understand that its not about the clothes you wear, what you see, the things you do. Its about how you manage your sexuality, how you behave, how you talk, how you help others. The brand for women has to be inside out. ASW: What are the objectives for the network and the benefits for the young women? Norena: positive behavioural change, we want to give the girls access for networking purposes, we want to create an environment for them were they can have access to mentors and coaches. We want to create business opportunities for them. Basically those are the benefits for the girls and the objectives. we want to equip you because you never know where you are going. You can be an entrepreneur tomorrow or go into the corporate world, we want to prepare you for that. ASW: It was wonderful and an honour chatting with you. Keep up with the good work and may God continue blessing you. Norena: Glad to and Thank you. She is an amazing woman and role model to the young women of Zambia.We do appreciate your work.